ANCHORAGE, Alaska - June 21, 2018 - PRLog -- Family practice Cornerstone Medical Clinic is pleased to announce their expansion and the addition of their new provider, Family Nurse Practitioner Celeste Shumate. Shumate brings a broad spectrum of medical experience to the clinic as well as capacity for new patients. When Shumate was in high school, she took a job at a nursing home in North Carolina where she grew up, "I quickly discovered that I enjoy working with the elderly," she says. In 2005, she took a position as a Public Health Nurse for the Surry County Senior Center in North Carolina. In 2008, she moved to Valdez, Alaska with her husband and their three children. Shumate worked at the Extended Care Unit in Valdez. In addition to geriatrics, she has worked in Medical-Surgical (Med-Surg) nursing and women's health. "Celeste worked with us several years ago as well," says David Frain, Practice Manager at Cornerstone, "When she heard we were expanding and came to be a part of the team, we already knew that the content of her character is excellent. Her enthusiasm, energy, and commitment to her patients are outstanding. She is a compassionate, thorough professional and we are excited to work with her in bringing on new patients!" Shumate likes to establish relationships with her patients, getting to know the whole person. "I appreciate the holistic care philosophy of Cornerstone," she says, "I look forward to working with patients of a variety of ages and backgrounds!" Shumate received her Master of Science in Nursing from the University of Alaska Anchorage. 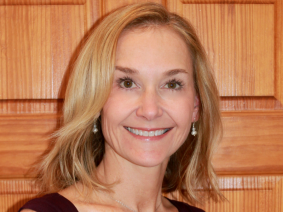 She is a Certified Family Nurse Practitioner with the American Academy of Nurse Practitioners. Shumate is also a member of the Alaska Nurse Practitioner Association and she has a Basic Life Support (BLS) Certification from the American Heart Association. If you are looking for a family provider and would like to schedule an appointment with Shumate, call Cornerstone Clinic at (907) 522-7090 to speak with one of their friendly staff members! Cornerstone Medical Clinic was founded in 1995 as a small, faith-based family practice committed to caring for the whole person. Their team of providers includes three primary care physicians, one M.D./D.O., and two nurse practitioners. The clinic is currently growing and expanding to welcome new patients! Although none of the staff are pediatricians, they care for patients of all ages, from zero on up. Cornerstone is a preferred provider with Blue Cross/Blue Shield, Aetna, Cigna Health, Moda Health, and Tricare. One of their specialties is osteopathic manipulative treatment (OMT), care that involves moving, stretching, and applying pressure to muscles and joints to treat and prevent illness or injury. Learn more about their practice at cornerstoneclinic.org/medical!